This article addresses acupuncture treatment for facial pain and paralysis which are common conditions which can be difficult to treat with western medicine. 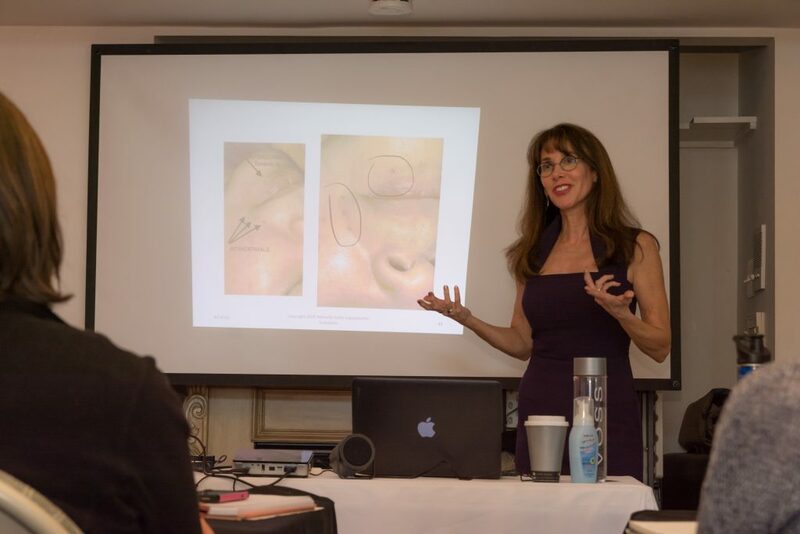 As a practitioner and instructor of facial acupuncture I frequently get calls from individuals seeking help for various medical conditions affecting the face. Although conditions such as Bells Palsy, Stroke, TMJ, Trigeminal Neuralgia, and Ptosis are vastly different, they all affect the facial muscles, nerves, functionality and appearance of the face. Fortunately, there are many acupuncture techniques, which are extremely effective in bringing movement and normal sensory function to the face. Facial and scalp acupuncture, facial cupping and motor points are uniquely suited to address facial pain and neuropathy. The same Acupuncture points which can be used to raise a saggy jowl or a furrowed brow can be used to treat a drooping eyelid such as with ptosis or bells palsy. The same scalp points which can help with nerve pain or motor issues can help with facial pain from trigeminal neuralgia or shingles on the face. Facial cupping, (when done with special facial cups and by a practitioner trained in facial cupping) brings blood and energy to the muscles of the face and has the potential to relieve TMJ and invigorate conditions affected by paralysis or weakness such as MS, brain injury, or stroke. http://facialacupunctureclasses.com/facial-cupping/. Lastly, intramuscular needling techniques (which are invaluable in acupuncture facial rejuvenation for relaxing taught muscles which cause deep wrinkles) can be used to relax an atrophied facial muscle as may happen with myasthenia gravis or stroke. “When I contracted Bell’s palsy, I went to my doctor and was put on a 6 day regimen of cortisone to help to reduce the inflammation of the cranial nerve. It was not until a week later, after I contacted Michelle Gellis, my acupuncturist, and had a treatment, that I experienced any improvement in my condition. The improvement was dramatic in lessening of the facial paralysis. Within a 3-week period, my facial paralysis was improved to a point, that people could not tell that I had been suffering with the condition. Originally, being told that my condition could last somewhere between 6 weeks, on the mild side, and 6 months, I was thrilled, when the regimen of treatments that Michelle performed, had helped my condition so dramatically”. 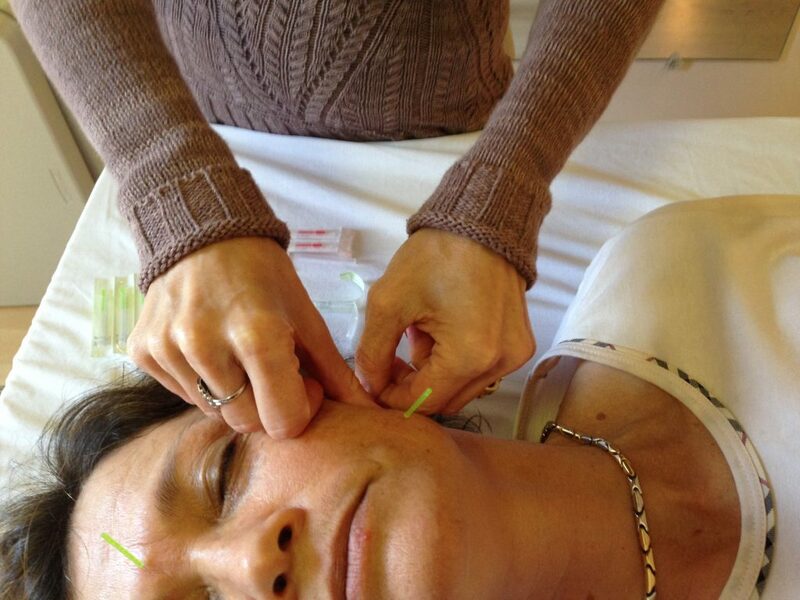 -Linda B. D.
Join Michelle Gellis for a facial acupuncture CEU class. For more information on our upcoming class schedule, visit our Class Descriptions page.